One of my dreams is to have a backyard not only for a nice size garden but also to share with chickens. I love fresh eggs and raising chickens would complete my garden. I love that they will eat the bugs in your garden as well and their “droppings” make great fertilizer. 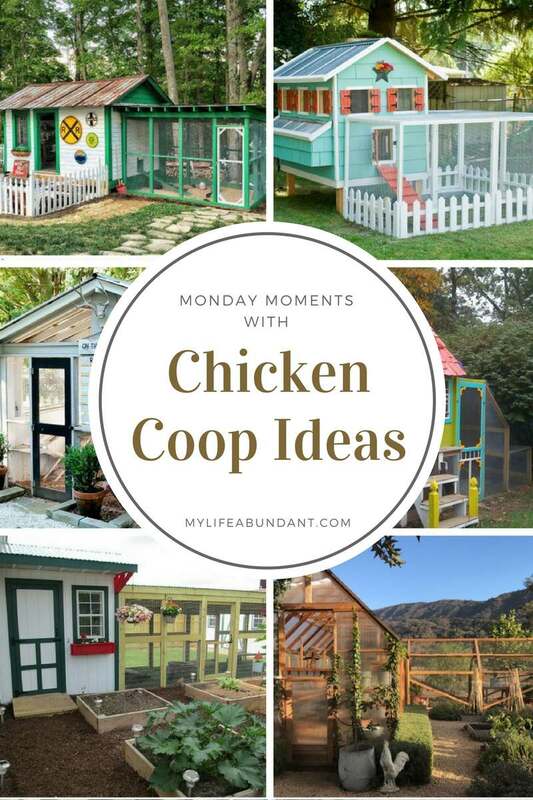 I recently started saving chicken coupe ideas for the future. Here are just a few. Lil Blue Boo has a great post on how to build a chicken couple. She goes into great detail and it would be a great start on a smaller coupe. Love the colors. Another smaller coupe by TrevorMade for the smaller backyards and when you only have a couple of hens. Just adorable. Looks like a playhouse. I love this site called Redeem your Ground. Not only do they have a cute little coupe, watch the video if you have time, but this family lives the simple life. Here is a design by Amaretto Girl that is a really whimsical chicken coupe. Her inspiration came from the Little Small Red Hen book. The kids would really love this one. What I love about this coupe is its next to the garden. Backyard Chickens has really made a nice and rather large area for her chickens. Another example of a coupe near the garden is by Velvet & Linen. Attached to the greenhouse, this simple couple is perfect.